Eats Everything, Iliario Alicante and Erick Morillo will play Studio 338 when Elrow return to the London club next week. The three parties from Friday, December 28th to Sunday, December 30th now have full line-ups while Elrow has confirmed two 2019 shows the venue with new theme RowsAttacks. The December series kicks off on Friday, December 28th with Eats Everything, Melé, De La Swing, Eddy M, Maze & Masters, Nyra and The Menendez Brothers. On Saturday, December 29th Ilario Alicante will be joined by Andrés Campo, Marc Maya, Tini Gessler, Nyra, The Menendez Brothers, Teddy Lewis, Ismail, Viraj and LRO. The series closes on Sunday, December 30th with Erick Morillo, Mason Maynard, Toni Varga, George Privatti, The Menendez Brothers, The Menendez Brothers, Teddy Lewis, Ismail Viraj and LRO. With all festive shows selling out in rapid time, if you haven’t got a ticket Elrow’s first dates for 2019 will interet. 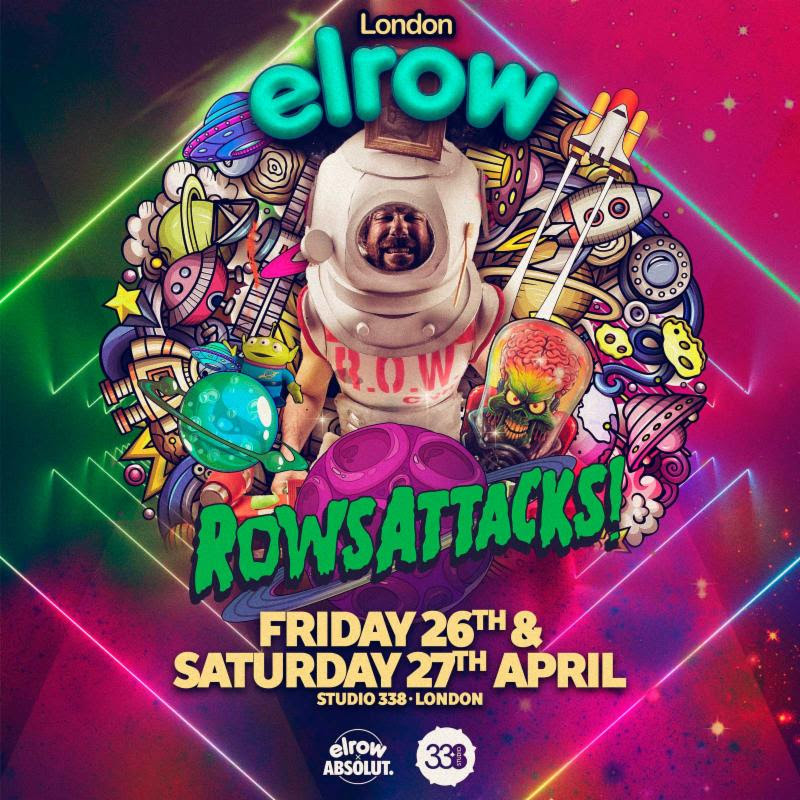 On Friday, April 26th and Saturday, April 27th, the RowsAttacks theme will make its UK debut. Expect these shows to sell out. Pre-sale tickets to RowAttacks will be available from 12noon on Friday, December 28th. Sign up for access by clicking ‘Get Started’ on Messenger and select London here BIT.LY/ELROWFB or sign up via email at elrowlandings.com/london. For further tickets and details go to elrow.com.